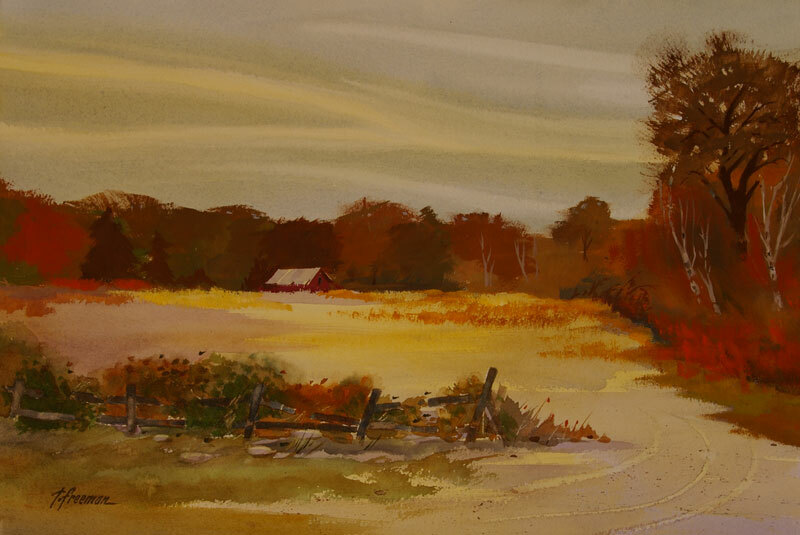 Thomas Freeman Original Watercolor Painting: "Waning Autumn Sun"
All the background trees in this painting are acrylic, whereas the sky and the rest of the painting were done in watercolor. I wanted to give the trees a late fall look, when the trees still have leaves but they're this real dull color. With the dark colors involved, watercolor would not give me the look I was after.